Keith Holland Opticians have teamed up with local medical charity Cobalt as part of a bid to get more involved with their local community. Plans afoot include donations for spectacle repairs and putting a team forward to run for the Charity in the Cheltenham Inflatable 5K this September. 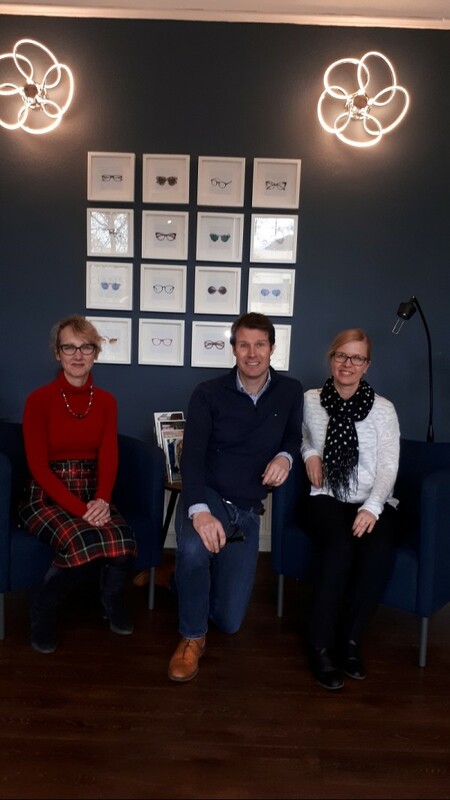 Dermot Keogh, Practice Owner, Keith Holland Opticians said “This is the first time we have chosen a charity to support and we are looking forward to getting stuck in and working with the fundraising team at Cobalt”. Dermot and his wife Joanna took over the practice in St.George’s Road, Cheltenham in 2016 and have completely refurbished all five floors to a very high standard. Like Cobalt use the best medical imaging equipment, this practice uses the most advanced technology to assess the health of your eyes in an unrushed environment. They have an exclusive range of frames and their experienced team will take the hassle out of choosing the right frame and lenses to suit your individual needs. Julia Jenkins Head of Fundraising, Cobalt said “Charity partnerships are a great way to engage staff and customers in raising funds. We are looking forward to an exciting year with the Keith Holland Opticians team”. For more information on charity partnerships contact the fundraising team at Cobalt on 01242 535922 or to book an appointment at Keith Holland Opticians, phone 01242 233500.